Mayor Timothy T. Stewart today advised New Britain residents to continue to use extreme caution when driving or walking on city streets and sidewalks. New Britain Police also are encouraging drivers to use extra caution on roadways with trees or wires down. In particular, drivers are reminded that when traffic lights are not functioning due to power outages, the intersection is treated as a four-way stop. There have already been several accidents in the City, and more can be prevented if drivers take the extra time at these intersections. Trash and recycling pickup will take place on regularly scheduled days, if streets are passable. If trucks are unable to get through due to downed wires or trees, trash pickup will not occur this week. If your trash receptacle is not picked up on the regular day, please take it back from the curb and place out again on your regular day next week. Overfilled trash receptacles will be accepted next week only. If it is your recycling week and your recycling receptacle is not picked on the regular day, leave your receptacle out and it should be picked up by the end of the week. Reports of lines or trees in roadways can be directed to New Britain Police Department Dispatch at (860) 826-3000 or Parks Department at (860) 826-3360. Concerns on debris pick up can be directed to the Public Works Department at (860) 826-3350 or after business hours to the City Yard at (860) 826-3480. The New Britain Police ask Neighbors of Acorn Street for Help. About three P.M. Saturday there was a hit and run accident and shooting sending two men to the Hospital. NEW BRITAIN – New Britain Republican Town Committee Chairman Dwight Blint is calling on mayoral candidate State Rep. Tim O’Brien to stop using his current elected position to shake down lobbyists, business owners and special interest groups that have pending business before the state legislature. 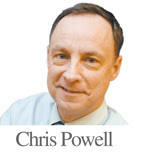 “At the very least, he should announce whether he plans to step down if elected mayor. As things now stand, he can use is office to pay retribution in January to individuals and organizations that fail to donate to his mayoral campaign, whether he wins or not.” Blint said. Blint said he decided to issue a statement after learning that O’Brien had recently hosted a third fundraiser in Hartford. Each fundraiser had a minimum ticket price of $250.00 per person. “These are some of the many people that I don’t think would have contributed to O’Brien if he was not a state legislator that could impact their business,” Blint said. Conversely, if you look at Mark Bernacki, the Republican candidate for mayor, all his fundraising events have been local and primarily attended by New Britain residents. And, Bernacki has used the funds his campaign has raised to the benefit of local businesses. New Britain Mayor Timothy Stewart, in conjunction with the Grand Lodge of Connecticut Ancient Free and Accepted Masons announced today that cornerstone ceremony for the City’s new police station will be held on Saturday, October 29, 2011 starting at 1:00 p.m. on the construction site (gathering will be at the intersection of Chestnut Street and Scalise Drive adjacent to the Chestnut Street side of the Szczesny Garage). Contents that will be placed in the cornerstone for posterity include Council resolutions and other documents regarding the construction of the facility, a New Britain Police Department patch and various New Britain Police photos and memorabilia. In addition to members of the Grand Lodge from across Connecticut, invited guests include the members of the Common Council, the Police Commission and the Police Commission. The public is invited, but there is no seating. A reception will follow after the ceremony at the New Britain Masonic Lodge at 10 Mason Drive. Logistical notes: Free parking for the event is available in the City owned Szczesny Garage which has an entrance on Chestnut Street. The cornerstone is located at the corner of the building facing Chestnut Street closet to the Garage. The ceremony is being held on an active construction site, so sturdy footwear is recommended, as well as umbrellas if rain is predicted. I am asking for you to support Lou Salvio in his run for City Council, and I’ll tell you why. Lou, as Rabbi Okolica says, is the “voice of the people”. He has always served as the watch dog over what happens, and as he always does his homework, is not afraid to speak his mind if something seems amiss. I have known Lou for a very long time (I remind him that I knew him when he was a liberal!!) and I served with Lou for many years on City Council. Having myself been a member of the majority party, I had a rather unique perspective on Lou. He has many years of experience on City Council, and being retired, devotes many hours to this endeavor, doing his homework, talking to department heads to find out either why, or why not something occurs. He has always been great with constituent services, almost single-handedly responsible for getting many things done that might have been overlooked by a bureaucracy, but not by him. His education and years of experience as a teacher serve him well to understand the dynamics of the Board of Ed and their budget, and the years of experience on Council would be most beneficial to younger council members who will allow him to mentor them. I believe that we need his experience, his tenacity, and his devotion to the City on City Council for as long as he is willing – I’m voting for him for that reason, and hope that you will too. A SAD AND EMOTIONAL COMMON COUNCIL MEETING. Two Aldermen ended their council careers, as aldermen, at last night's common council meeting: Aldermen Mark Bernacki and Paul Catanzaro along with Mayor Stewart's last meeting as well. Additionally, John Melecsinsky, the council's clerk for the last seventeen years, publicly chastised the common council members for leaking comments that he may not be re-appointed by the council at their next meeting subsequent to the city election, he decided to end this mystery by resigning from his post. Then walking out of the council chambers leaving the council members in amazement. Mayor Stewart ended the meeting with a very emotional statement thanking all the members of his staff for their support as well as the VP Volunteers for a job well done during his tenure. I am going with Johnny Mel and saying good night Gladys. Alexander Schwarz Jr is a 31 year old city resident. Alex was born and raised in New Britain and attended area schools before graduating from Central Connecticut State University with a BA in Political Science. Alex was very involved in the college community, having served as a commuter senator in the Student Government Association and as an active member and recruiter with the college republicans. Currently, Alex works as an administrative assistant at Uconn Health Center in Farmington. His Materials Management experience there includes Logistics, Value Analysis, and Supply Chain. This has helped Alex learn some of the inner workings in a complex organization. His time spent in Value Analysis and Logistics was invaluable. That combined with a focus on public administration coursework gives Alex the tools necessary to make things work efficiently. Alex is blessed to have a wonderful wife and two beautiful children. Alex wants to work for the people of New Britain to restore the trust in our public officials and help lead New Britain in the right direction. AMAZING DEMOCRATIC LEADERSHIP OF PRESIDENT PRO-TEMPORE MICHAEL TRUWORHTY AND HIS MINIONS. The Costco sales for 15.3 acres of land the Democratic council raise many questions regarding the three "Appraisals" which determined the offer of $4,100,000 or an offer of an approximate sum of $268,000.00 per acre by the Costco representatives after three appraisals were sought and of course the demand of seeing and reviewing of the contract before authorizing the Mayor to execute any agreements with Costco by Alderman Trueworthy and Company. With the council's sleight actions regarding the sale of 17 acres of Pinnacle Heights valuable commercial land to a nonprofit school for the sum of $1,700,000 representing $100,000 per acre without requesting at least three appraisals, as in the case of Costco, and also reviewing of the contract terms. Additionally, no questions were raised as to why this proposal did not include the state pilot program which would have given subsequent annual income to the city. The hypocrisy of this whole issue was the many concerns that were raised regarding the Costco deal but those same concerns were never raised over the sale of Pinnacle Heights 17 acres to a non-profit entity. * Maintaining a "business friendly" environment. * Growing our Grand list, creating new tax revenue. * Assisting seniors with tax relief. * Promoting and encouraging open and honest government. * Encouraging resident involvement in the government process. * To promote the benefits of The City of New Britain. As a lifelong resident of New Britain, my love for The City of New Britain and its citizens is my foremost concern. I am proud to be running on the Mark Bernacki Team . New Britain Candidates Are Delinquent Taxpayers! It is becoming quite clear that the Democrats like to spend taxpayer money but continue to demonstrate their own inability or unwillingness to pay the very taxes they love so much to keep increasing for the rest of us! 2. 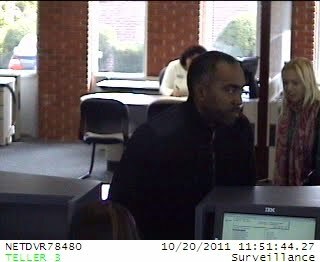 James Rathbun 331 Broad St. apt 2-- owes for his prior year MV tax of $245.00--an Alderman Candidate. 5. Lucian Pawlak, 149 Vine Street, Mayoral Candidate--owed his real estate taxes for the years of 07-08- first half of 09 a sum of $21,427.00 paid up on October 10th 2011. 6. Adrian Baron, 62 Silver Street, Alderman Candidate--owes his MV tax of $192.00. 7. Alfred Mayo, 228 Broad Street, Mayoral Candidate U--owes $53.18 for his MV tax. 8. Roy Centeno, 289 Slater Road, Alderman Candidate, owes “a small amount” on his Real Estate Tax—for some reason the tax collector would only describe Mr. Centeno’s balance as “a small amount” without giving that amount. Interestingly he receives an annual pay as an Alderman and works for the New Britain Board of Education also, after retiring from the CCSU's Police Department. What is really bothersome is the fact that Lucian Pawlak, a former Democratic Mayor of New Britain left his real estate taxes unpaid for a period of two and one half years and paid up only when deciding to run for the office of mayor--apparently because "he needs a job" as he stated to many. Does this really demonstrate the type of character and responsibility we need in our next Chief Executive Officer of the city? The other alarming situation is that of candidate Spano who is seeking the office of Constable--which under state statutes has the authority to collect delinquent taxes through the service of tax warrants. This is also not the first time I have reported on Mr. Spano’s delinquency in paying his taxes. I reported that as a member of the Commission on Community & Neighborhood Development, Mr. Spano was delinquent on his motor vehicle taxes as of May 4, 2009 to the tune of $542.28 . What is even more disturbing in Mr. Spano’s case is that despite questions raised about his suitability for this position through the repeated non-payment of his own taxes as reported by the tax collector, you-- the voters, have absolutely no say in his election to this post because he is running for a position where all candidates are automatically elected with one vote. That’s right, Mr. Spano’s election was sealed when the party bosses anointed him to that position and clearly did little in the way of vetting. Could the fact that Mr. Spano is the Recording Secretary of the local Democratic Town Committee have something to do with his anointing? You decide—even if you are not given the opportunity to decide his fate in the upcoming election. 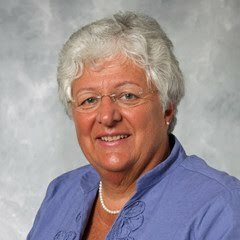 Given the number of elected officials and candidates I have reported on regarding their unpaid taxes—the majority of them Democrats, it seems as if it has become acceptable or even expected by our local Democratic Party for their elected officials to simply ignore their property taxes while forcing the rest of us to pay. By: Frank Smith, a conservative registered Democrat! NO LOSS OF JOBS FOR CITY WORKERS MAYOR STEWART ANNOUNCES! With the police union concessions agreement in hand that the council should be approving tonight at its meeting. Many of the city employees were relieved upon hearing the good news. Permission by The City Journal for reprint. In recent publications of the local newspapers State representative O'Brien, in his quest to become New Britain's new mayor, has made claims that he helped the elderly and the poor, which is directly opposite to his actions made with his state representative voting record. Primarily, he voted in support to the Malloy's sales tax increase to 6.35% that included a tax on food, clothing, and medicines. The Poor and the Seniors are facing enough hardships without having to pay sale taxes for the above mentioned items but, adding insult to injury, when a senior attempts to purchase a clothing gift for his/her grandchild this O'Brien tax applies. For this very reason I recommend all the voters of New Britain to support Alderman Mark Bernacki to become our next Mayor. • Educated in local schools. 1953 Graduate of New Britain Senior High School. 1. Teachers College of Connecticut, New Britain – B.S. - Biology; Gen. Science. 2. University of Maine, Orono – M.S. Zoology. 3. St. Joseph College, West Hartford – 6th Year Cert. - Earth Science. 4. University of Connecticut, Storrs – 6th Year Cert.- Educational Administration. • Teacher /Administrator– Science Subjects; Administrator, various positions, Connecticut Public Schools (36 years): Old Saybrook; Bloomfield; West Hartford. Retired, June 1995. • CCSU Extension College; Instructor (Biology, Earth Science) 25 years. • 1996 – 2008. Student Teacher College Supervisor, St. Joseph College. Grades 1 – 12. All subjects (exclude foreign language); Special Ed. • Current: Serve as scorer for State, CAT (Connecticut Administrators Test) –3 times/year.
" Creating good paying jobs by enforcing and strengthening our living wage ordinance, by rebuilding neighborhoods and by finally creating a good plan for New Britain's economic future." Candidate O'Brian does the foregoing imply, if elected mayor, you plan to picket New Britain's Businesses demanding higher wages as you and your Socialist Comrades have done in the past at the Wal-Mart of New Britain and The Hospital for Special Care? Also to mention State Rep. Tercyak being taken away by the police in handcuffs for picketing a nursing home with wages being the issue. You socialist approach is not needed in New Britain and will never be needed in our city's future. "Stimulus efforts allow politicians to dispense dollars in patronage schemes conferring power upon themselves at taxpayer expense. Congress buys votes with your money. Even if public spending did stimulate, such corruption is too repugnant to condone. As government grows, it becomes increasingly self serving. Bureaucracy inevitably seeks its own expansion. Businesses succeed by producing efficiently and pleasing customers. Bureaucracies thrive via inefficiency. Exceeding one's budget makes it easier to ask for more. Failure allows sinecures to grovel before Congress that greater funding can achieve what lower funding merely wasted." This is what NB City Hall and NB Citizens can expect if Tim O’Brien is elected Mayor of New Britain. Who are the major players in Tim O’Brien’s campaign staff ? Rick Lopes; carpetbagger, former DeFronzo aide, tax dodger, desk rifler and dirty tricks expert. Greg Gerratana; former O’Brien aide and admitted illegal user of State computers to vilify Mayor Stewart. John McNamara; DTC Chair and Chief chess master of Democrat position placers. Don DeFronzo; former State Senator, killer of major revenue opportunities for NB including Tilcon fiasco, anti Costco, anti Aquinas activities. This is what you get if you support O’Brien and his cadre of questionable characters. "The good news is that, according to the Obama administration, the rich will pay for everything. The bad news is that, according to the Obama administration, you're rich." THE TIM O'BRIEN'S BULL MESS CAMPAIGN! He has made many promises that he knows he cannot deliver to the voters. Also claiming he fought so hard in bringing 100 million dollars to New Britain For Education which a Board member claims it is only in his head. He also touted that if elected he would eliminate blight. One can only recollect that when an alderman he came up with a resolution that never worked and had to be re-written by the Republican Administration in order to make this ordinance work. This carpetbagger claims that he works full time for us voters when he only held part time elected offices as an Alderman and state Representative. He is also making great claims that he and Malloy have been good for Connecticut while sticking us with the largest tax increase in Connecticut's history. As to trust he can't be because he is a fabricator of what is he believes to be factual when it is not. They first gave all the council candidates, from all parties, their chance to get their 15 second views with a few seconds for their rebuttal to their collogues' remarks. With Mark Bernacki starting off citing that the economy impact's number one issue jobs balancing act taxes and the opposition were dead last for jobs while I was pro Business for jobs with the Costco and Saint Thomas Aquinas proposals. And while being on the council we have been losing students to the Hartford Magnet Schools costing our city a great sum of money while Hartford has the resources to provide that education the New Britain wants for their children. While Tim O'Brien went on with his liberal agenda pushing the absentee owner issue, shortchanging education, also claiming he brought 100 million dollars to city hall for creating jobs New Britain. Lucian Pawlak calimed that he had brought in Target, Stop and Shop, and the Webster Bank to town. He also was very sad and it was no pleasure to get rid of the welfare department with people who needed their jobs in supporting their families. Bernacki countered to O'Brien' claiming that he had brought monies for the magnet schools to New Britain by telling him it was only money for the buildings and asked who is going to pay for the supplies and employees? In closing remarks Lucian said he was asked why he was running again and was advised to tell the truth. I want you to hire me as your mayor. O'Brien continued with his liberal claims that it didn't have to happen in New Britain when he brought millions of dollars for education. I have the best record for advocating for education making sure to bring in jobs and blight legislation and making city hall transparent. Mayo indicated he wanted to make things clear. I want to change and get things done. Bernacki ended his remarks by citing that he was born and raised in New Britain went to New Britain High School, Graduated from CCSU, and received a MBA at Hartford University, and thanks to rep. O'Brien our taxes are higher and we are also facing a re-evaluation therefore we need to be more business friendly. Has Mayor I would welcome businesses in New Britain and "not picket them in their parking lots". I am a life long resident of New Britain, with my family being part of this community for over 100 years. I grew up on the West side of New Britain as a child, and spent much time with my grandparents on the North side by the factories, (where they both retired from). I currently live on the East side. I have attended New Britain public schools as well as St.Paul's in Berlin. I think I have seen this City, and those around it from all angles and feel and see its needs. But sadly I think that we have been neglected by the politicians that we have representing us. Its time The citizens of New Britain had a representative in City Hall who isn't afraid to stand up for our city and fight for what we need, and act on behalf of all of our citizens. In a time where education funding is limited our representation at the capitol has not fought hard enough and the taxpayers are feeling the burdens of it. Being strapped with unfunded mandates, and the politicians in office that ignore the needs we face is disheartening to me. We are both one of the poorest cities in the state and receive close to the least amount of funding hurts. With as much as Mayor Stewart has done to bring in new business and grow our city, we still need more. And to that end I promise to you that I will go the extra mile for the City of New Britain once I am elected and go to Hartford and tell our representatives to do their jobs and represent us, bring back more state funding, and stop forcing unfunded mandates on us that our city can not afford. But there are many more issues being missed, like the protecting of seniors in these hard economical times, providing a way for our homeless, and families in need to get back on their feet, teaching our new parents the skills they need to raise their children in these hard times, and just so much more. However we cant do this if our politicians focus on finger pointing and their ego's. We need government to be more about us, and much less about the politics of government. And that's what I want to bring back to City Hall, Common Sense, the ability to work with others to find the real solutions that we need for the problems that we face everyday in our city. I have been a small business owner in New Britain and Southington. And now I am a Realtor and office manager for Kelley and Company Real Estate, with offices in Bristol and the Kensington area. This is my first run for a city office , I am currently serving as a Commissioner on the City of New Britain's ZBA, a member of the New Britain Republican Town Committee representing the 2nd ward, a Justice of the Peace, Exalted Ruler of the New Britain Elks Lodge #957, Treasurer of 8th Ward Political club, and Vice President of The C.P.O.A. I am very proud to have signed "The Common Sense Commitment to Ct" on the steps of the State Capital last year while I was running for the State Senate. My promise to you when elected as an Alderman is, I will represent all of the citizens of the city of New Britain, not just one party or group. I will listen to the needs of our city and do all that I can to fulfill them. I will go the extra mile and make sure that our representatives at the capitol do their best to understand our needs as a city. And I will serve our City and its Citizens with Honor and Dignity. Candidate for Alderman at large, city of New Britain. The City of New Britain receives proposals from would be developers, often. Some of these proposals are for city owned properties. The proposals received are sent to the various appropriate departments for their study and recommendations. Favorable recommendations are passed on to the appropriate Council subcommittees for their comments. Public hearings are held for citizen input and then the proposals are sent to the Common Council for final action. Case in point, the Costco proposal. (11 ¬ 3) with seven Democrats and four Republicans in favor. That¹s significant! Why? 10/12 Council meeting where the proposal was approved. Also notable in his opposition, FROM THE BEGINNING, was mayoral candidate/State Rep., Tim O¹Brien. Remember, from the beginning! Very soon, candidate O¹Brien for mayor signs went up on the Pleines¹ lawn. Nothing at all wrong with that. Remember the threats to supporters. This past week, a notice from the DTC went out announcing a fundraiser to be hosted by the Pleines¹ at their home benefiting O¹Brien and the members of the O¹Brien team (remember, 7 of them favored Costco); again, absolutely nothing wrong. However, the hypocrisy of those who issued the ³no vote² threats to supporters is very apparent. Apparently the no vote threat applies only to Council Republicans. On Monday October 24th the New Britain Republican Town Committee will be hosting a Meet the Candidates night. The event will be from 6-8PM in the Whinstone Tavern at Stanley Golf course. There will be light appetizers and a cash bar. Candidates are encouraged to make every effort to be there. Please spread the word and encourage your friends, neighbors, and family to come down and meet Mark Bernacki and the rest of the Republican team running in November’s election. Question: What is the difference between liberalism and communism? Answer: The Communist admits it. LOUIS G. SALVIO IS A CANDIDATE FOR ALDERMAN AT LARGE ON THE MARK BERNACKI SLATE. ALL CANDIDATES FOR COMMON COUNCIL, WHETHER FROM DISTRICTS/WARDS OR AT LARGE HAVE THE SAME RESPONSIBILITIES NAMELY, TO DISCUSS AND MAKE DECISIONS ON ISSUES THAT AFFECT ALL NEW BRITAIN CITIZENS. COUNCIL MEMBERS’ RESPONSIBILITIES ARE OUTLINED IN THE NEW BRITAIN CHARTER AND REFINED IN OUR CITY ORDINANCES. TO THAT END, I RESPOND TO ALL CONCERNS OF ANY CITIZEN THAT WISHES TO ADDRESS ONE TO ME. THE VOTES THAT I CAST, I TRUST WILL BENEFIT ALL NEW BRITAIN CITIZENS. FOR THE MANY FOLKS THAT BROUGHT THEIR CONCERNS TO ME OVER THE YEARS, I HOPE WAS ABLE TO HELP IN A POSITIVE WAY. I BELIEVE THAT MARK BERNACKI IS THE ONLY ANNOUNCED CANDIDATE FOR MAYOR THAT HAS ALL THE CREDENTIALS NECESSARY TO LEAD THE CITY OF NEW BRITAIN, I.E., LEADERSHIP, EDUCATION, EXPERIENCE, BUSINESS ACUMEN, AND DEDICATED TO IMPROVING ALL ASPECTS OF LIVING IN NEW BRITAIN. I ASK FOR YOUR VOTE IN NOVEMBER AND PLEASE, SUPPORT THE ENTIRE BERNACKI TEAM. Veteran police office, Peter Scirpo [R] Seeks a Council Seat in the 5th. Ward. Citing the reason for New Britain businesses failures is due to these employers inability to find qualified workers within the city. With his being a city police officer with the understanding of the city's problems can be a great asset to represent us as an Alderman on the Common Council. He certainly would be a breath of fresh air compared to the antics and displays we have seen from the Democrats. Therefore, I urge the voters in the fifth ward to give Peter his win as a New Britain Alderman. Our local New Britain candidates that have received the Working Families Party Endorsements, AKA The Infamous Acorn Party. 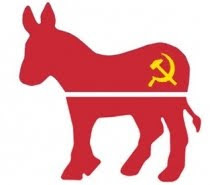 Alderman David Defronzo [D] "
Alderman Michael Trueworthy [D] "
Rha-Sheen D. Brown [D] "
Big Bertha publicly stated that she is proud to be called a Socialist a code word for the Communist Party. Are you willing to vote for these seven Candidates knowing that Big Bertha will be knocking on your Mayor's or Alderman's doors as she had promised in the New York Election? Daniel Davis [R] seeking to becoming a Ward 4 Alderman. Mr. Davis has a Bachelor of Arts Degree in Political Science. A true conservative; will be a great addition to the common council's list of Alderman. He has a vast political experiences with his interning in the U. S. Senate for a semester which shores up his ability to serve our city in the capacity he seeks. 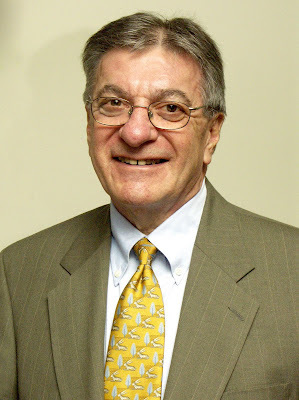 Alderman Carlo Carlozzi Jr. [D] who is seeking his second term in the ward 5. Calling his democratic colleagues wrong over the Costco issue calling it a win win win issue for the New Britain Residents which will provide some 220 jobs for the area's residents. Again opposing his colleagues on the busway issue by voting for it. He has publicly stated that the diatribes and many negative comments that are made by many politicians doesn't work. Which places him at odds with his Democratic leadership. He does support what is right for the general population of our city and for that reason he deserves to be re-elected. James Griffin [R] At Large candidate for the common council. James is not a new comer to the political scene and is a city native. Also is a member of the Republican Town Committee and has been very concern with the council Democrats putting up road blocks, along the way, against the Costco proposal. He also stresses that the board of education has many areas of duplication within their Budget. He would be a great addition to the common council roll call and the voters should be encouraged to support his candidacy. Larry Hermanowski [ D ] seeking his eight term for the Common Council in Ward 4. Larry would like to believe that he is the most frugal member of the council but why did vote against the sale of Saint Thomas Aquinas in his quest to appeasing the neighborhood naysayers. And of course with his being out of Town he didn't have to go on record in voting against the Costco land sale. With my knowing Larry for many years as a conservative. 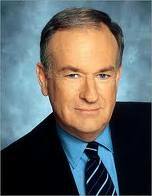 But has recently moved to the progressive column in order to appease his daughter's father in law. Needless to say his new ideology stance is one the voters of the district can do without. Wilfred Pabon [R] Current Council member Seeking Re-Election. He is totally involved in the New Britain Community and local business owner. In fact his children are equally involved in community affairs as well. Alderman Pabon is a member of The FBI citizens Academy, The NBCPOA, a Former Police Commissioner and currently serving as a council liaison to the Police Department, and has just recently been elected to the office of Vice President of the Police Commissioners Association of Connecticut. With his experiences, he brings to the common council table, he is deserving of an affirmative vote for his re-election bid. Mario migrated from Puerto with his family and graduated from New Britain High School, served in the Marines, and hold a arts degree in Psychology from the Los Angeles City College. Spending 35 years as a federal government employee. Here is another chance for the voters, in that district, to rid of the socialist do nothing Alderman Adam Platosz. A life time resident and has helped with little league baseball together with numerous community associations and wants to find an answer to the continuance of blight in his neighborhood. His concerns over the adverse vote against the sale of the Saint Thomas Aquinas property by the common council board of Alderman. Makes him a wise choice for our voters to be able to eliminate a radical socialist like Alderman Adam Platosz from being re-elected this coming November. THE REPUBLICAN PARTY HAS THREE INTERESTING CANDIDATES FOR THE BOARD OF EDUCATION. 1. Erin Stewart a twenty four year old is an Legislative assistant at the state capitol and wishing to became a role model and a advocate for the school students. She is aslo a band coach at the High School. Erin is a wise choice for the voters since she will represent the needs of your children to the table. 2. Nicholas Mercier is another wise choice for the voters being a school music teacher in Naugatuck his desire is to help drop out students to continue their education and go onto college. 3. The third Candidate offered by the Republicans is their oldest member, James Sanders, Sr., on the existing Board having served over twenty years. No words could exemplify or illustrate his knowledge and experience. Every New Britain real estate owner, be they the owner of a home or a commercial business needs to pay serious attention to this election because: your TAXES WILL GO UP next year! The question is by how much. It is impossible after some years of holding the line that taxes will no doubt have to rise no matter who is elected Mayor. As we sit here today, we are still trying as a city to squeeze into the budget year that began this past July 1st. Couple these thoughts with the on-going property reevaluation and you can see that things will change. Property values have declined since the last analysis which means our mil rate will go up even if nothing else occurs. Our community continues to have serious needs and there will no doubt be more unfounded mandates from the State of Connecticut coupled with less money under the PILOT program. This means New Britain real estate owners will need to pick up this slack (increased taxes, higher mil rate) . State Representative O’Brien who desires to be our Mayor recently voted for and addled us with the largest tax increase in Connecticut history. He also abdicated his elected decision making power; giving it to the Governor during the process. A professional politician, Rep. O’Brien claims he has a record of accomplishments including property tax relief; however during the primary his own party competition pointed out that this claim held no water. Rep. O’Brien's public, physical protests against tax paying New Britain businesses are mind boggling. How can Rep. O’Brien as Mayor attract and even retain tax paying business in the city when he has a record of protesting against them in their parking lots? Mr. Bernacki who is also running for Mayor has a visible record on the Common Council and other city functions. 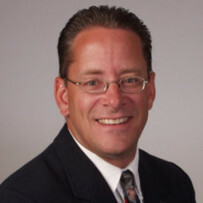 Mr. Bernacki is a successful business owner who is involved in numerous civic organizations. Mr. Bernacki’s votes like anyone else’s are not perfect; but they are rational and with the taxpaying public’s interest in mind. Mr. Bernacki is the only Mayoral candidate who is actively involved in New Britain city government today. Mr. Pawlak, our former mayor can’t win and will no doubt drain votes from Mr.Bernacki and Rep. O’Brien. Unless there is a miracle, Mr. Mayo doesn’t have a prayer. I appreciate the fact that they are involved and hope they will continue though. We need community people like them involved. Therefore, a citizen who pays property tax on real estate must think in advance to July 1, 2013 when he writes his property tax payment to the city at whatever the new mil rates are due to reevaluation. Who is the candidate that will return the most value to the property tax payer at the lowest rate? Don’t waste your vote. Don’t make a “statement”. Vote for whom you feel will give us the appropriate municipal services and a fair tax rate in order we attract and retain businesses and families who will share in the costs and rewards in our community. People who don’t own real estate will vote for their own personal interest without having to pay for it. Real estate / property owners, especially single-family homes and commercial buildings will most likely see the largest tax increases and urgently need to vote to elect a Mayor who keep our finances in control. Speak to your neighbors today and make them aware before the large property tax bill has a chance of showing up. Mr. Bernacki is the clear choice in preventing an unreasonable mil rate increase in the coming years. To do so, he also needs a Common Council with both Democrats and Republicans who are able to enact good policy. Real estate tax payers need to get out on November 8th and vote for Mr Bernacki as well as some few new faces on the council – otherwise, get your checkbook out and make sure your pen has lots of ink. If you don't vote, don't complain when the tax bill shows up. Some reactions to comments/assertions in the profiles of candidates for the upcoming municipal election in New Britain; the profiles were provided by and printed in the Herald. First of all, Thank You to the Herald for this service. Reminders to the candidates and also for the readers of the Herald: Mayor Stewart is not seeking reelection; since the municipal election in 2003, the NB Common Council has owned a super majority in that body – never more than four Republicans; also, since 2003 NB’s state legislative delegation has been 100% Democrat; except for a state mandated revaluation of real properties a few years ago, real property taxes have gone down or remained steady; school buildings have been renovated as fast as is financially possible; a sixteen room addition to the high school now houses the Freshman Academy ; a new building for special needs children has been built; DiLoreto Magnet School will be expanded; CREC will build and operate a Health and Medical Careers Magnet School on Slater Rd. ; Broad St. is undergoing a total reconstruction; a New Police Station is being built; many properties downtown and elsewhere in NB have been renovated by Jasko Dev. and are being rented ; NB has a new Downtown District Office and Artists’ Collaborative on West Main: Anvil Place next to City Hall is renovated and is being rented; Celebration/Rich Foods; Polam Credit Union; Farmington Bank; Willow St. Park; Total renovation of Walnut Hill Park, etc., etc. I could go on, but you get the picture. Let’s check the other side of the ledger. Mayoral candidate Tim O’Brien, together with then Sen. Don DeFronzo squelched a $15 Million sale of unusable Water Dept. land to Tilcon. How does that look to you now taxpayers? Council Democrats scream about blighted properties yet, led by Tonilynn Collins, Mike Trueworthy and Dave De Fronzo, they torpedo the Aquinas proposal. How does that property look to you now? O’Brien talks about bringing $tens of millions in education funding – the other four reps claimed nothing – yet the state flat funds the city 4 years in a row. O’Brien says, I’ll be in Hartford at the Capitol fighting for NB. He must be using powder puff gloves because he’s done nothing for ten years but Democrats blame it all on Stewart. Does everybody get the picture? It’s just like the national Democrats and Obama; blame everything that is wrong on Bush. How long can people continue to blame, blame blame? Wake up folks! It’s in your hands, now. ALDERMAN DAVID DEFRONZO SEEKING AN AT LARGE COMMON COUNCIL SEAT. David is just completing his appointment to the vacant seat by Alderman Cruz but during his short tenure he has objected to many proposed projects such as the Saint Thomas Aquinas sale, and yesterday's vote against the Costco proposed sale of the Plan "B". Not only being endorsed by the Democratic party but he has also accepted the endorsement of the Socialistic party known as " The Working families Party". to not return David to the Common Council seat he seeks. What will he do when Big Bertha comes knocking on the city hall doors presenting her demands to him, just like she promised to do when she endorsed Senator Clinton of New York, that she would come knocking on her doors. This seat needs to be filled with a non-socialistic candidate. EVA MAGNUSZEWSKI SEEKING HER THIRD TERM ON THE COMMON COUNCIL AS AN AT LARGE CANDIDATE. Eva has been a great disappointment serving as the Common Council's Majority Leader. She voted against the sale of the Saint Thomas Aquinas to a Boston developer. As reported in a local newspaper it was because she received many calls and e-mails from the naysayers that convinced her to vote against this proposal. A loss income to the city and the subsequent property taxes that the city would realized. Additionally, just last evening she voted against the Costco proposed plan "B" which would have meant additional losses of income to the city but an affirmative vote by the common council prevailed. As the Majority leader of the common council she has demonstrated a dislike for new business enterprises to come to our city and should not be re-elected because of her displayed socialist ideology. DON NAPLES ALDERMAN CANDIDATE FOR WARD 4 (U) COMMON COUNCIL SEAT. A small business owner who was born and raised in New Brittan, an engineer, a graduate of N.B.H.S. and the U.S. Coast Guard Academy with college degrees B.S., M.S., & M.B.A.
Don has served on many community organizations and also known for his supportive activity for the success of the Trinity on Main. Administration a great background the administration will need to manage the city's future problems. Don is personable, listens to all sides of an issue, and will be a great asset as a council member with him his leadership experiences, as a Coast Guard Captain, to the common council table. ALDERMAN MARY MARROCCO'S BID FOR HER SECOND TERM IN OFFICE (R) AS AT LARGE CANDIDATE. Having a complete understanding of the needs for businesses with helping in her father's business and also with her personally being a landlord. She rises to speak rarely at the common council meetings but when these rare occasions occur she leaves the other side of the isle speechless. Her comments are very direct and to the point. She doesn't go for the ongoing, senseless and continued "Prattle" by the President Pro Tempore and his followers. With a complete understand of our community's needs she is well equipped to continue Stewart's job initiatives and will be a plus in helping with the Bernacki administration with her fiscal conservative stance. Never let liberals forget that the sub-prime mortgage disaster was Bill Clinton's fault. In 1995 President Clinton's changes to the Community Reinvestment Act enabled ACORN to run a politically correct extortion campaign against mortgage lenders, compelling them by force of law to make unsound (sub-prime) loans to poor minorities who never stood a hope of repaying them. Jamie Giantonio (R) A travelers Ins. Co. Executive who has served as chairman of the parks and recreation Commission and many other community services and is seeking to be a councilman for Ward 1. He will be a great addition to the Bernacki slate. Wilfredo Pabon (R) A local business owner who is seeking another term on the common council. He also has served on many community organizations and most recently has been elected First Vice-President of the Police Commissioners association of Connecticut. Also a greet part of the Bernacki Slate. A REGISTERED DEMOCRAT JOINS THE BERNACKI TEAM RUNNING FOR THE COMMON COUNCIL IN THIRD WARD. Attorney Adrian Baron, a local attorney and formally an aide to Robert F. Kennedy Jr. has decided to join the best qualified mayoral candidate--Mark Bernacki. Mr. Baron speaks Polish and Spanish. As a conservative Democrat, Adrian will bring a lot to the Bernacki slate. Richard Gadomski (R) Born in New Britain and involved in many community affairs citing blight as being one of his main targets since his opposing Democratic candidates voted for the continuance of a major blighted neighborhood sites by their voting against "THE APARTMENT PROPOSAL AT THE SAINT THOMAS AQUINAS SCHOOL continuing with the eye sore blight, for the East Side Community. He served on the commission for community and neighborhood and development board and a member of the East Side NRZ . Hopefully, this selection will replace Alderman Adam Platosz the follow the leader representative for ward two that accomplishes nothing with the exception that he at least shows up for the common council meetings and abides by the dictates of John McNamara and Alderman Trueworhty. Also in the running for Ward Two is Mario V. Santos (R) who has worked 35 years for the IRS with compassion for the elderly brings a great background to serve with the Bernacki Team. A socialist party run by Big Bertha Lewis. And Obama's link to the Socialist Working Families Party. Listing his top priorities for fighting crime, blighted buildings, and lowering the tax rate. The above is the most outlandish since he has never proposed any Resolutions that supports his priorities. What has he accomplished during his five terms in office? The answer is simple, he followed the leader, never concerning himself what his constituents want. Socialism and Adam are"familiar partners". A vote for Adam is for a "follower and not a leader". THIS LETTER APPEARED IN TODAY'S NEW BRITAIN CITY JOURNAL AND I HAVE RECEIVED PERMISSION FROM ITS EDITOR, Ms. ROBIN VINCI, TO RE-PRODUCE IT ONTO FRANK SMITH SAYS NB. NEW BRITAIN DEMOCRATIC PARTY'S OWN DILEMMA! First of all we should begin with the Democratic mayoral primary race whereby Paul Catanzaro noted many factual comments against his opponent Tim O'Brien's voting record such as: voted to raise your income taxes, voted to raise your sales tax, voted to cut your deduction for property tax, voted for extra NEW taxes on clothes, and shoes under $50 but claims to help the poor that he hurt with these new taxes. Catanzaro further attacked O'Brien's claims to be an advocate for campaign reform, but Lobbyists make up the majority of his campaign funding, also claiming that he is an advocate for job creation and economic development with his strongly opposing the Costco store in New Britain which will add 220 jobs with the much needed income for New Britain. We can also recall his picketing the Wal-Mart store forcing them to leave New Britain causing a loss of 150 jobs and most recently he picketed the Hospital for Special Care pushing the union agenda against the interests of a taxpaying employer. Catanzaro's called attention to that fact that O'Brien is a ten year professional politician and has not initiated any major legislation to benefit New Britain, instead claiming credit for work done by the state senator, simply by signing onto the bills created by the senator. I personally agree with Paul's accusations and I personally feel that O'Brien's effort to become the mayor of our city with Bertha Lewis' Working Family Party Loons with her endorsement of candidate O'Brien recalling that Bertha is also one of the founders of the infamous "Acorn" organization. With regard to Management negotiations, O'Brien knows or should have known it starts at the bargaining table and not in the streets as in the case of Wal-Mart and the Brittany Farms Health Care. Obrien continued his hard work with senator DeFronzo by their placing a roadblock to the Quarry deal which cost the city taxpayers $15 Million dollars. He is a mayoral candidate that wants to become New Britain's Mayor that has a proven record of accomplishing nothing but continues to forge ahead fostering his "Socialistic Agenda" that is guaranteed to hurt New Britain's progress and destroy its image. Sending a clear message to business owners and employers that New Britain is a city to be avoided at all cost. Surprisingly, Alderman David DeFronzo Votes Against the Costco Plan "B". As I was happy to support Alderman Sanchez for another term for supporting the Costco proposal buy I am very shocked that Alderman David DeFronzo has decided to oppose the city receiving 4.1 million dollars and the subsequent $475,000 annual taxes from the Costco enterprise even after the City Attorney together with Costco's attorney spelled out that this move is perfectly legal. 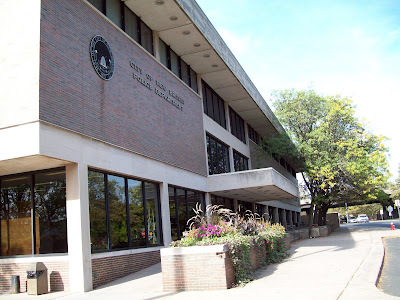 With his giving his reasons that he didn't have time to read all 42 pages he had received the evening before but during the meeting Alderman Salvio attempted to point out to him that six of those pages were blank. DeFronzo was against Costco in the month of June and continued on that track. With his saying he didn't have time to read the document, was a fabrication, due to his opposition to the plan was since the plan was introduced. Seeing he doesn't want the city to receive the much needed income where he works. Maybe the time has arrived to have our Mayor communicate with the Board of Education to place him of the layoff list since the board could wind up with some of those funds he opposes. Needless to say the New Britain Voters should not re-elect him this November since he has proven that he doesn't deserve another term. Ask why it is that liberals have such a problem with civil rights and people of color. Republicans—founded as the anti-slavery party. Democrats—wanted to keep blacks in slavery; passed the discriminatory Black Codes and Jim Crow laws; started the Ku Klux Klan. Tonight’s meeting of the Common Council subcommittee on Planning, Zoning and Housing (PZH) showed the true colors of Council Democrats. Two items on the agenda were particularly interesting, a resolution to sell a parcel of land on Broad St. and the Costco proposal. The first issue, the sale of a lot on Broad St. to Mr. Witold Pokorski was tabled at the request of Alderman DeFronzo. The person who benefited from this tabling was none other than former Alderman Rick Lopes. People will recall that Lopes was the Alderman who registered his vehicles out of town to avoid NB taxes. Later he would become the legislative aide to former State Senator, Don DeFronzo. Lopes would then become notable for being sanctioned for rifling through the desks of other aides at the legislature. In all of this, he was protected by DeFronzo. While Don has moved on, Lopes remains at the LOB. The property in question was an empty lot at 179 Broad street. Lopes owns # 183 Broad street and has been squatting on the lot in question. Mr. Pokorski owns # 173 Broad St. and proposed to purchase # 179 to use for parking for his tenants. Alderman DeFronzo ( son of Don) moved to table the proposal. The vote was tied, 4 to 4. Chair Centeno voted to table, essentially killing the purchase. Thus the Dems took care of Lopes. Later, DeFronzo and Trueworthy would vote against moving the Costco issue forward. Fortunately, Costco prevailed. But, DeFronzo and Trueworthy who were willing to put the general welfare of over 70K people aside for the benefit of a few anti Costco folks did take care of their notorious friend, Rick Lopes. THE NEW BRITAIN COUNCIL'S PLANNING, ZONING AND HOUSING COMMITTEE APPROVED BY RECOMMENDING THE COSTCO ISSUE TO THE FULL COUNCIL TONIGHT. EMMANUEL SANCHEZ DESERVES TO BE ELECTED FOR A FULL TERM! Manny was introduced to the common council with no resume' other than "he resides on Washington Street". This blog was very critical of that appointment and watch Mr. Sanchez very carefully at all subsequent common council meetings. "He is not a follower". He was the only Democratic to vote for the Saint Thomas Aquinas proposal for the fifty unit housing development. He also supports the Costco wholesale chain to come to our city. I am please to support Manny for a full term of office because he does represent everyone in our city, in spite of party affiliation. His voting record represents that he did vote against his party leadership's demands. Manny, good luck, with your upcoming campaign. All decisions made by the Common Council must reflect the general welfare/common good of all New Britain’s citizens. Never, should the decisions be subject to the pressures of special interest groups. Unfortunately, quite the opposite is often the norm, especially in an election year. 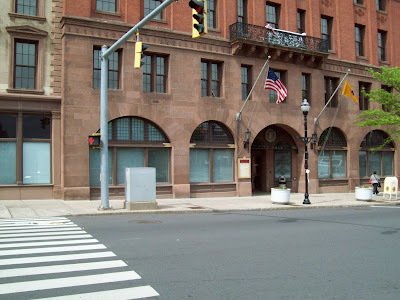 The year 2011 in New Britain has been dominated by six or seven major issues. Although all are important with regard to the general welfare/ common good of New Britain citizens, I will concentrate on just a few. These are, the end of the Doris Kurtz era, the possible renovation of the former Aquinas property, the sale of acreage at Pinnacle Heights for a Magnet School, and the proposal to reconfigure a portion of the Stanley Golf Course at the request of the Costco Organization. I will not include the new Police Station as an issue here. Yes, Kurtz is gone, I believe that where the City is currently in finding a replacement is unfortunate; perpetuation of a “good ole boys network” continues with a huge waste of money. The sale of Pinnacle Heights acreage to CREC to build a Health Careers Magnet School may prove to be one of the most positive and important decisions that Mayor Stewart and the current Common Council have made with regard to the general welfare of the City and its residents. Given the announcement this week of attracting a major biomedical research facility to CT, the CREC Magnet School concept may be huge for New Britain. The defeat of the Aquinas proposal at the hands of a few disgruntled NB citizens (special interest group) is unfortunate. With the exception of Manny Sanchez, Council Democrats defeated this proposal. The general welfare of the City’s residents was sacrificed. The Costco proposal. 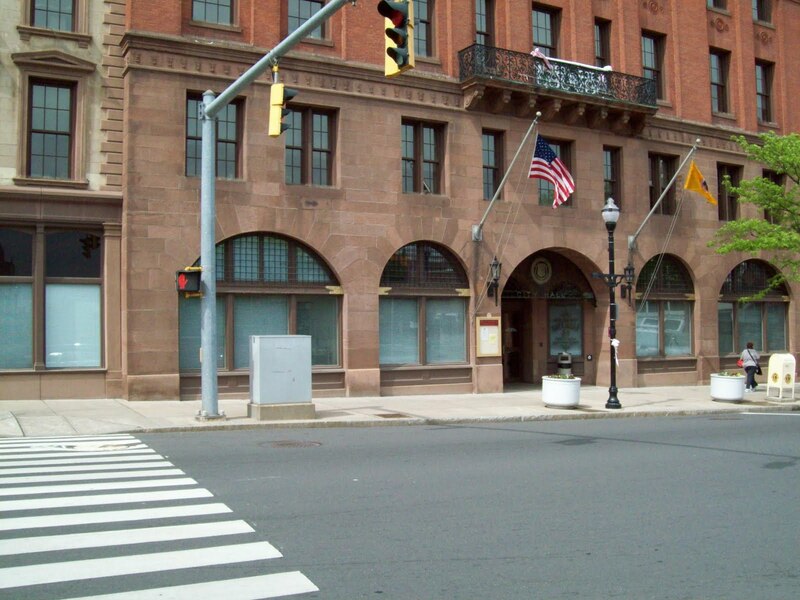 This proposal could possibly be a huge boost to economic recovery for New Britain. Again, special interest groups and the endorsed Democrat candidate for Mayor are against it, mostly for selfish reasons (my opinion). $Millions in revenue for the City may be sacrificed along with the general welfare and the common good. All for what in the long run amounts to nothing more than sick politics, egotism and selfishness.